KnowledgeHut is one of the best institutes for Leading SAFe 4.5 training in London, Ontario as it is a Professional Training Network member of scrum.org. Our academy offers two types of course delivery methods- classroom and e-learning. By the end of Leading SAFe 4.5 workshop in London Ontario, you will gain insight into the leadership skills most effective in unlocking the intrinsic motivation of software development knowledge workers, and begin applying them in your domains. Knowledgehut offers not only SAFe 4.5 but also other different courses that help you achieve your career goals. Register today at KnowledgeHut and choose the type of course you are interested in. To earn Leading SAFe 4.5 agilist certification in London, Ontario you are required to complete the 2-day Leading SAFe 4.5 course. 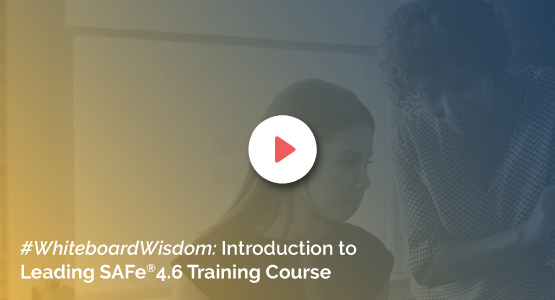 Although the course is intended for 5+ years of management experience, there are no prerequisites to participate in this Leading SAFe 4.5 online course.